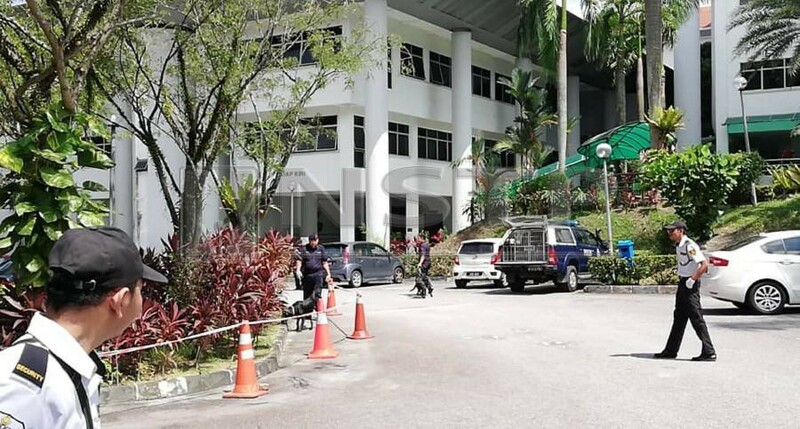 SHAH ALAM: It was a chaotic scene at Shah Alam Court Complex this morning after staff members and civilians were ordered to evacuate the building due to a bomb threat. Shah Alam police chief Assistant Commissioner Baharudin Mat Taib said initial investigation found that one of the staff members received the threat via a phone call at 9.40am. “Following the information, the court’s director contacted the emergency line 999 for further action. Investigation found that the call was made by man who introduced himself as a police officer from Bukit Aman and he informed the employee about the bomb in the complex. “Police were rushed to the scene and ordered for all staff members and civilians to evacuate the building,” he said in a statement. He added that a Bomb Squad and a K9 unit did a thorough check on the building and found no threat of explosive objects. “The building was then deemed safe and people were allowed to resume their business at 12.45pm,” he said, adding that there was no untoward incident occurred during the check. 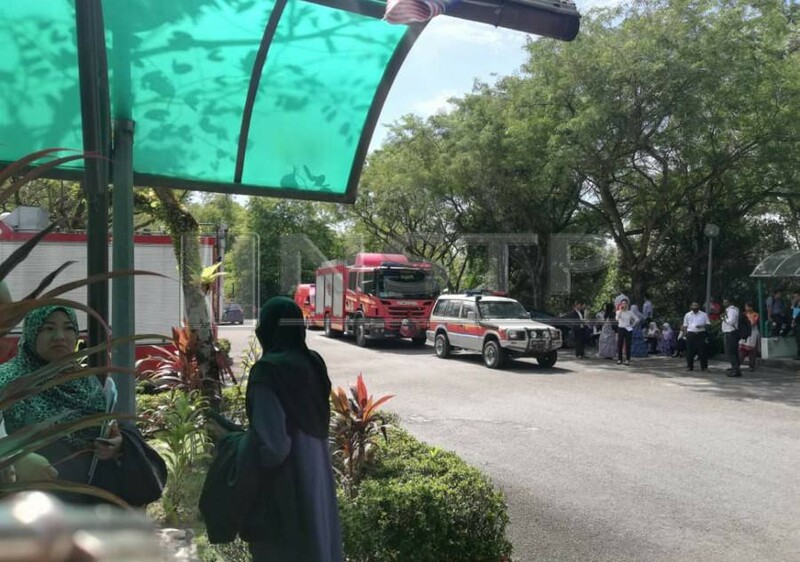 Meanwhile, Selangor Fire and Rescue Department Stations and Operations Management Branch head Alimaddia Bukri said his department through the Hazardous Materials Unit (HAZMAT) from the Shah Alam Fire and Rescue Department was also dispatched to the scene. “We conducted the evacuation and waited for the police to check the building until it was safe for everyone to enter,” he said. A court staff member, when met at the scene, said she was shocked and panicked when everyone was told to evacuate. “I thought it was a fire drill or something. But if there’s such a threat, we’ll follow the orders from the authorities as part of the safety measures,” she said.